Full Figured Fashion Week took place this summer in New York City for the fourth year in a row. Each year both retailers and independent designers showcase their latest collections. 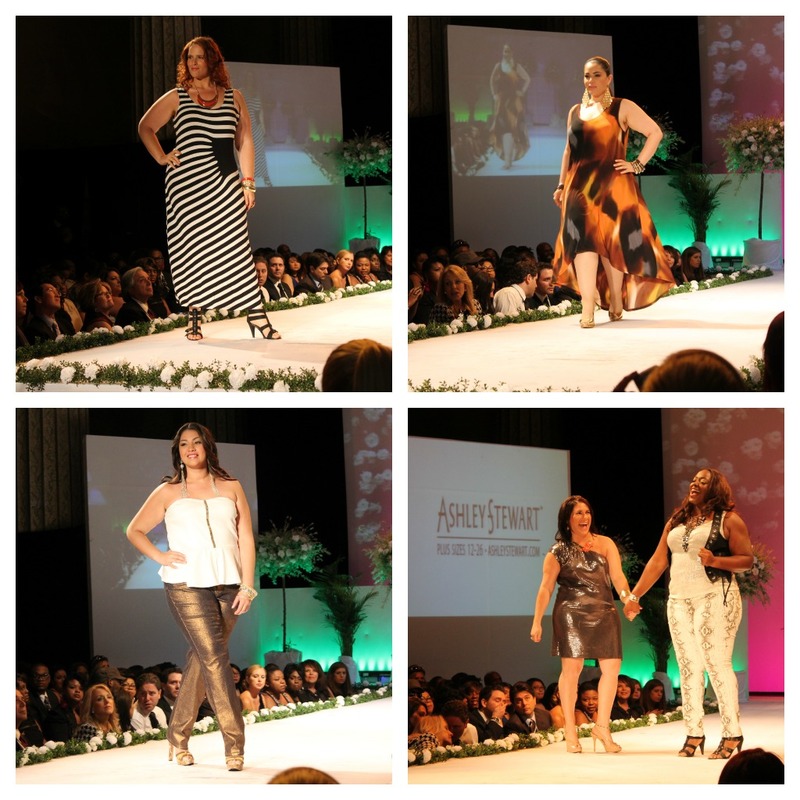 This year designers included Savanna Red, Youtheary Khmer, Lavender Jungle, Jill Alexander, SWAK, Jibri and Curvato. Celebrities including R&B singer Faith Evans were even spotted in the front row at the shows. Times continue to change as designers and retailers are recognizing the importance of fabulous style for the curvy woman. The plus-size fashion business has grown into a 17 billion dollar industry and isn't showing any signs of slowing down. Women wearing over size 14 are demanding stylish clothing and retailers are finally recognizing how important that is. International retailers including H&M, The Gap, Ralph Lauren, Michael Kors and Calvin Klein now carry an assortment of styles in plus sizes. Youtheary Khmer collection at Full Figured Fashion Week. Theary Sim is the designer behind the label Youtheary Khmer (pronounced yut-terri-come-air). She once worked as a celebrity stylist and now creates clothing for the curvy woman. Her latest collection was full of fun, bright and youthful colors. She brings her eye for style to the average woman who doesn't fit the 'stick' figure of a model. Ashley Stewart show at Full Figured Fashion Week, New York. Ashley Stewart is a powerhouse when it comes to style for women over size 14. They are one of America's biggest retailers for plus size fashion and presented a collection at this year's event. Click here to watch the full runway show.